Japan’s ambitions for a trouble-free 2020 Tokyo Olympics to showcase the country’s economic revival are facing an unexpected obstacle course as planners lurch from one fiasco to the next. The 2020 Games were dubbed the clinching “fourth arrow” of Prime Minister Shinzo Abe’s ambitious strategy to restore the country’s star stature after two decades of economic doldrums. But instead of burnishing the country’s image, the glitches so far have tarnished it. Last week, organizers scrapped their Olympics logo, saying it was withdrawn by the designer due to allegations of plagiarism. 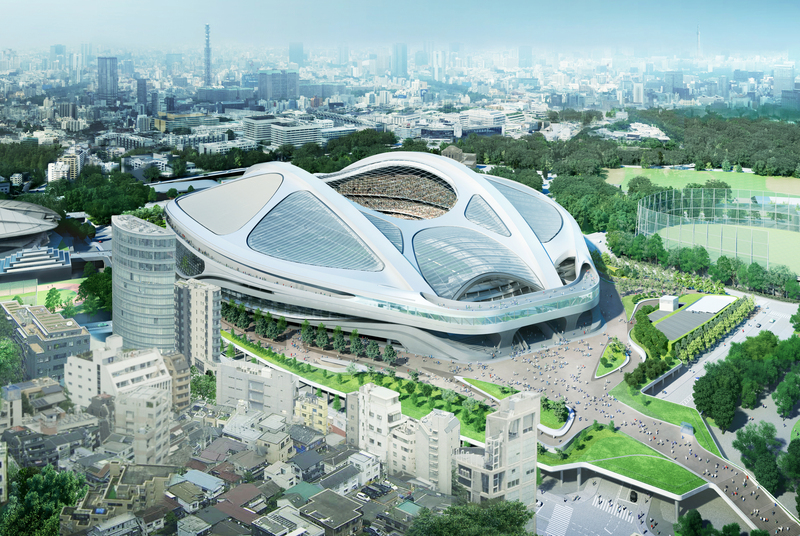 That followed Abe’s decision in July to drop a gargantuan new national stadium design that critics likened to a bicycle helmet, reducing the project to cut its cost by over a third, to a still-whopping ¥155 billion. Some say the embarrassments show Japan has yet to adapt its idiosyncratic, opaque ways of decision-making and planning to 21st century expectations for transparency and accountability. The setbacks coincided with mediocre economic data and with massive public protests over legislation that will give the military, which has been constrained by the country’s post-World War II pacifist Constitution, more leeway for involvement in armed conflicts. Abe set the bar high in touting Tokyo’s status as an affluent, orderly, ultramodern city where safety, cleanliness and meticulous organization can be taken for granted. After all, the last Tokyo Games, in 1964, were praised as a great success. “The perception from outside is the Japanese are perfectionists and are very good planners. They run a tight ship. 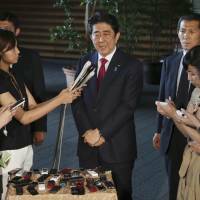 This is the leakiest ship,” said Snow, who is writing a book about Japan’s branding efforts. 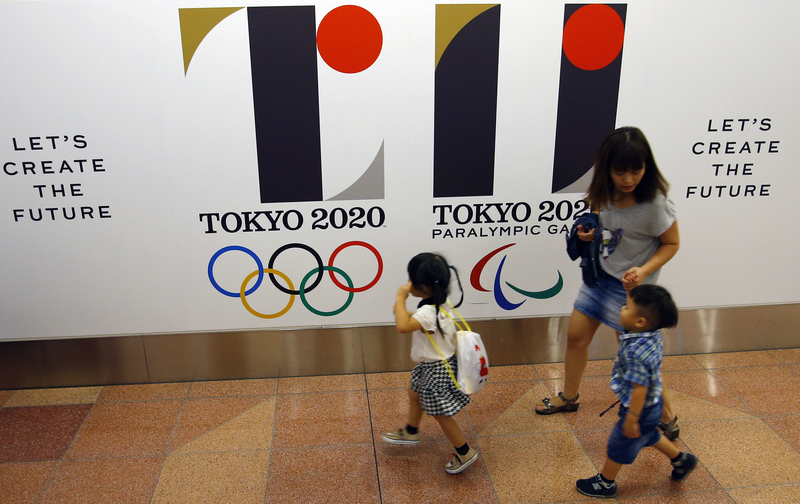 The Tokyo organizing committee, the committee that chose the logo, and designer Kenjiro Sano, all shared responsibility for the logo mess, Olympics minister Toshiaki Endo told lawmakers. The Tokyo organizers said Sano had asked that his “T” shaped logo, which a designer in Belgium alleges resembles one he created for a theater there, be withdrawn following fresh complaints over works unrelated to the Olympics logo. Reports said Sano had superimposed his logo on banners and signposts in a photo of an airport that allegedly was taken from a website without permission. He also faced allegations that his design for a zoo and for a museum closely resembled other artists’ published works. 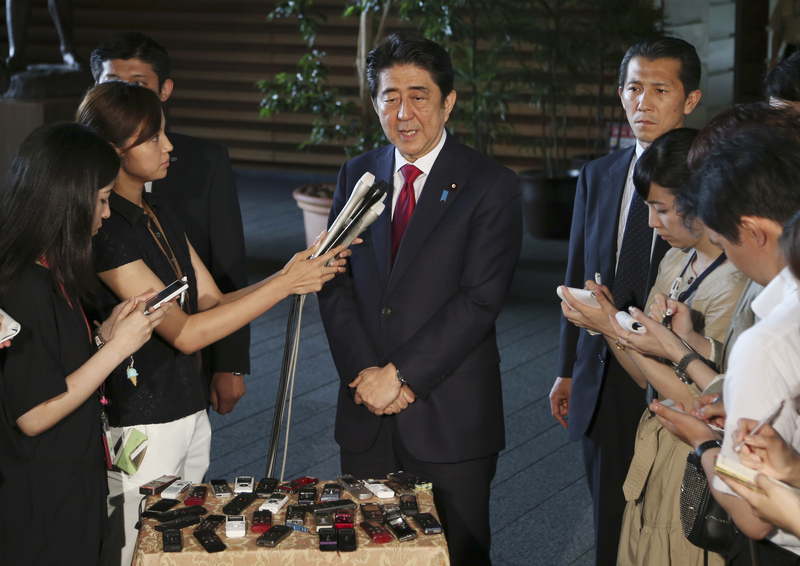 Ultimately, Abe shares responsibility for having appointed those in charge, said Michael Cucek, an adjunct professor of politics at Tokyo’s Sophia University. Anything involving the Olympics, sponsorships or construction in Japan involves huge sums of money. Given Japan’s tradition of awarding public works contracts via a collusive system known as dango that spreads the largesse mainly among a top tier of major contractors, with plenty of extra padding built in, many have questioned how the decisions were made. 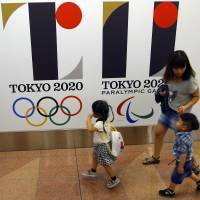 “The debacle has implications that extend far beyond the 2020 Olympics. It embodies structural problems endemic to the Japanese government as a whole,” Hideki Kato of the think tank Japan Initiative wrote in a commentary in the website Nippon.com. That includes the custom of adopting and planning costly major projects with little transparency or accountability, he said. 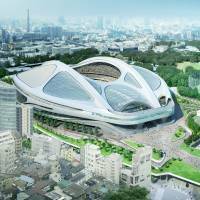 The about-face on the design means the new National Stadium likely will not be ready for the 2019 Rugby World Cup, as initially promised. Given shortages of construction workers and other constraints, organizers and builders will be struggling to meet the revised deadline of January 2020 set by the International Olympic Committee. New proposals for the stadium, which will seat 68,000 instead of the original 80,000 and lack air conditioning and the roof included in architect Zaha Hadid’s original plan, face a Nov. 16 deadline, three years after her design was first chosen. Hadid announced Monday she is still hoping to find a contractor to work with her company and its partner, design and engineering company Nikken Sekkei, to meet the lower cost ceiling. Whatever design is chosen and built, the changes to Tokyo’s skyline will be minor compared with those brought by the 1964 Games, which marked Japan’s re-emergence as an industrial power from the ruins of its defeat in World War II. Rivers and canals were paved over or topped by towering expressways to minimize the cost of land purchases. The city rushed to finish its shinkansen system, the world’s first high-speed railway. Tens of thousands of city residents were relocated to make way for dozens of new sports venues and other facilities, but public complaints were muted for the sake of national pride. Ultimately, it all went more or less like clockwork. 51 years on, Japan’s image is on the line. “We need to treat the stadium fiasco as a wake-up call and stop this runaway train before it is too late,” said Kato. The number of years since the 1964 Olympics was stated incorrectly. It has been corrected to 51 years.